Robert Schwentke’s R.I.P.D is every bit the lifeless blockbuster that its name suggests. Derived from the Dark Horse comic book by Peter M Lenkov and borrowing heavily from the likes of Ghostbusters and Men In Black, the film clearly wants to kickstart another franchise but struggles to feel anything other than lazy and derivative. 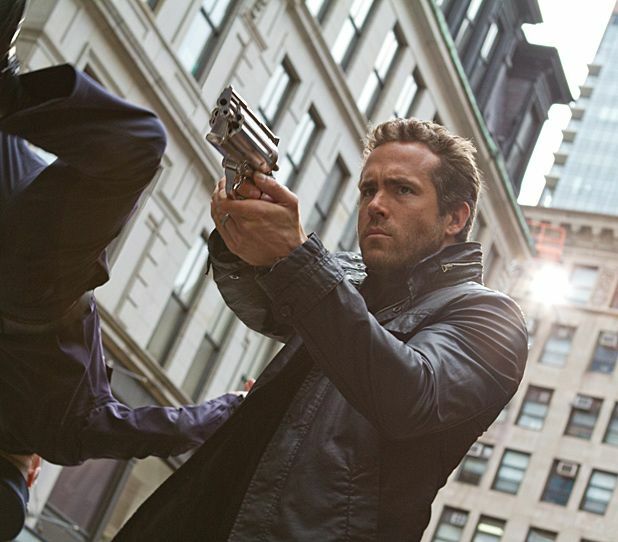 Ryan Reynolds stars as a Boston cop who is killed by his corrupt partner (Kevin Bacon). He's saved from judgement by the RIPD (Rest in Peace Department) and enlisted to help police the Earth against returning ghosts and ghouls. Together with his gruff new partner (Jeff Bridges) they set about preventing a plot to open the gates of Hell. Schwentke’s film may boast a strong cast and a $130 million budget but it fails to make the most out of any of them. The effects struggle to impress, the set pieces lack ingenuity and the script – co-written by no less than five people – is lifeless. The performances predictably suffer: Reynolds resorts to his trademark sarcasm without much humour, Bridges is content to riff on his Rooster Cogburn/True Grit persona and Bacon isn’t afforded enough time to make his villain really come alive. The odd colourful supporting turn from Mary-Louise Parker, Robert Knepper and Mike O’Malley is too fleeting to register. Reynolds’ involvement feels particularly ill-judged given that this is the fourth time he has tried unsuccessfully to align himself with a franchise inspired by a comic (following Blade: Trinity, X-Men Origins: Wolverine and The Green Lantern), but it’s also sad to see Bridges attached to something so ill-suited to his talent. But given that this has already flopped massively in the States, they probably don’t have to worry about too many people seeing it over here. General release from Fri 20 Sep.
Nick (Reynolds) is a cop killed by his corrupt partner (Bacon). The Rest In Peace Department then returns him to Earth with new partner Roy (Bridges), to police our world against returning ghosts. Despite a strong cast and a fat budget it's lifeless on many, many levels; no wonder it's already flopped in the States.